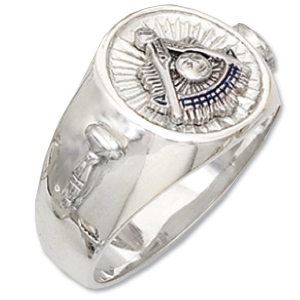 Solid back, polished sterling silver ring with Past Master insignia top. Anti-tarnish sterlite. Side emblems: gavel on left side, top hat on right side. Past Master logo on top. The diameter on top is 14mm. Made in the USA.